Cally Waite is program director of the SSRC-Mellon Mays Fellowship Program. Waite comes to the SSRC after eight years of service as program coordinator and associate professor of history and education at Teacher's College, Columbia University. 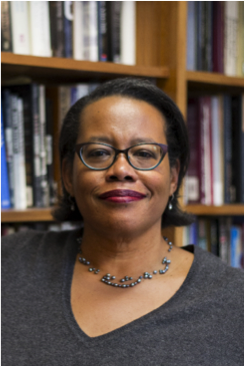 Her distinguished list of publications includes numerous articles on race and the history of the American academy, as well as the book Permission to Remain Among Us, a study of education for black students at Oberlin College at the end of the nineteenth century. Her current book project, The Journey Thus Far: Black Southern Scholars and Northern Institutions, 1896-1954 (with Margaret Smith Crocco), considers the experiences and challenges of southern black scholars who earned their doctoral degrees at northern research universities during legalized segregation in the United States.